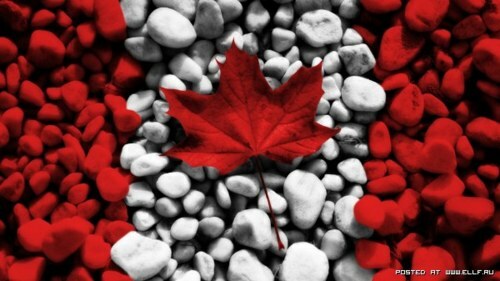 Here is a compilation of some interesting facts about our country’s national celebration – Canada Day. A proclamation signed by the Governor General on June 20, 1868, asked all Canadians to join in the celebration of the anniversary of the uniting of Upper and Lower Canada, New Brunswick, and Nova Scotia as the dominion of Canada on July 1st, 1867. The British North America Act proclaimed “one Dominion under the name of Canada,” hence the original title of the holiday, “Dominion Day”, which was established by statute in 1879. After the original declaration, there is no record of organized ceremonies until 1917. This was the 50th anniversary of Confederation. In 1917, the new Centre Block of the Parliament Buildings was dedicated as a memorial to the Fathers of Confederation and to the bravery of Canadians fighting in World War I. On July 1st, 1923, the Canadian government enacted the Chinese Immigration Act, stopping all immigration from China. Chinese-Canadians began to refer to July 1 as Humiliation Day and refused to participate in Dominion Day celebrations, until the act was repealed in 1947. A celebration was held on Canada Day in 1927 to mark the Diamond Jubilee of Confederation. The celebration featured the Governor General laying the cornerstone of the Confederation Building, and the inauguration of the Carillon in the Peace Tower. Since 1958, the Canadian government has arranged for an annual observance of Canada’s national day with the Secretary of State of Canada in charge of the coordination. There is a Trooping the Colours ceremony on the lawn of Parliament Hill in the afternoon, a sunset ceremony in the evening followed by a mass band concert and fireworks display. On Canada’s Centennial in 1967, Her Majesty Queen Elizabeth II attended the celebrations on Parliament Hill in Ottawa. In 1980, the National Committee (the federal government organization charged with planning Canada’s Birthday celebrations) sponsored the development of local Canada Day celebrations all across the country. “Seed money” was distributed to promote activities organized by volunteer groups. On October 27, 1982, July 1st which was known as “Dominion Day” became “Canada Day”. There is a Celebrate Canada Committee in each province and territory. They provide Canadians the opportunity to share their pride in their country, especially on Canada Day. The province of Newfoundland and Labrador recognises July 1 as Memorial Day, to commemorate the Newfoundland Regiment’s heavy losses during the first day of the Battle of the Somme in 1916. Since the 1950′s, the cross-border cousin-cities of Detroit, Michigan, and Windsor, Ontario, have celebrated Canada Day and the United States’ Independence Day with the International Freedom Festival. A massive fireworks display is held each year, with fireworks exploding over the Detroit River, the strait that separates the two cities by less than one mile. Under the federal Holidays Act, Canada Day is observed on July 1 unless that date falls on a Sunday, in which case July 2 is the statutory holiday. If it falls on a Saturday, the following Monday is generally also a day off for those businesses ordinarily closed on Saturdays. Festivals and celebrations generally take place on July 1 even though it is not the legal holiday. July 1 is the 182nd day of the year, and there are 183 days left until the end of the year, making it very close to the halfway point. Some famous people born on Canada day: Pamela Anderson, Dan Akroyd, Lady Diana the Princess of Wales, Missy Elliott, Jamie Farr, Rod Gilbert, Debbie Harry, Olivia de Havilland, Estee Lauder, Carl Lewis, Sydney Pollack, Alan Ruck, Liv Tyler.